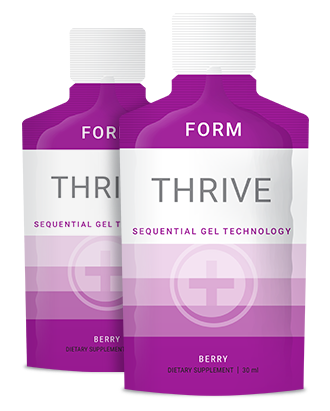 THE FORMULA: FORM is the latest addition to Le-Vel’s Sequential Gel Technology line. More importantly, it’s the latest discovery for the human body and human nutrition. Our proprietary Hydrolyzed Collagen Protein – Sequential Gel Technology – FORM is the world’s only Sequentially absorbed Collagen Protein. Collagen is the second most common substance found in the human body, the first being water. It’s estimated that one third of all protein in the body is collagen protein. Collagen is the foundation for strong connective tissues. Aging causes collagen protein to break down, weakening the connective tissues. Not only does the collagen break down but the body loses its ability to produce more. It’s believed that this process begins around the age of twenty. Our premium grade hydrolyzed collagen protein peptides are designed to help the body repair itself by introducing collagen protein into the body, allowing the body to repair, to rebuild, to FORM. This breakthrough discovery of collagen protein has made FORM the hybrid product of the decade. Le-Vel is proud to bring to market this true nutritional innovation, the world’s only sequentially absorbed hydrolyzed collagen protein gel, FORM.